The Transmission Corporation of Telangana Limited (TSTRANSCO) with Headquarters at Hyderabad, caters to the transmission needs of the Telangana State with 2,696 C.km of 400 KV transmission lines, 6,907 C.km of 220 KV transmission lines and 10,398 C.km of 132 KV transmission lines. The Transmission network also comprises of 11 Nos. 400 KV Substations, 72 Nos. 220 KV Substations and 214 Nos. 132 KV Substations. Further strengthening is in progress with 18 Nos. 400 KV Substations, 34 Nos. 220 KV Substations and 90 Nos. 132 KV Substations. 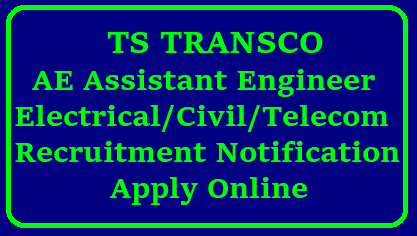 Applicants must possess the qualifications from a recognized University as detailed below or equivalent thereto, as specified in the relevant Service Rules of TSTRANSCO as on the date of Notification. of Engineers in Electronics &amp; Communication Engineering.